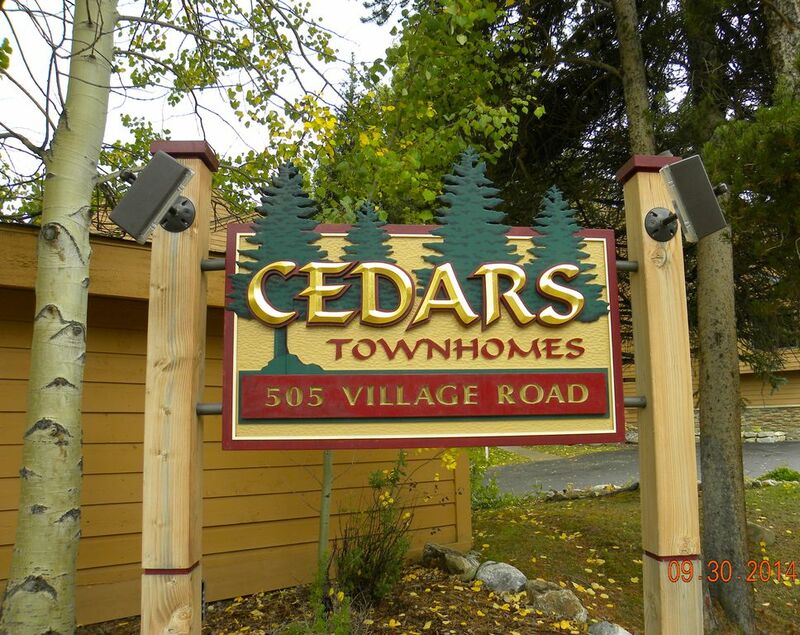 Located in beautiful Breckenridge, Colorado, our Townhome is a tri-level unit, with ground level entry, in the Cedars complex at the base of Peak 9, adjacent to Quick Silver chair lift. Comfortably furnished with lots of space, our townhome is just like a 'home-away-from-home.' In addition to the amenities listed, the master bedroom has a king-size bed, the second bedroom has a queen-size bed and a Captain bunk bed. The bottom bunk is a full-size bed and the top bunk is a single. Each bedroom also has a full bath. There is also a queen-size sofa sleeper (with electric pump air mattress) in the living area. With a pool and hot tub just down the block and the downtown shops, entertainment, and dining within walking distance, there is always something available for everyone. Summer time is just as fun as the ski season, with lots of activities. The Summit County area really caters to the tourists. Often, there are festivals of some type going on during the summer, along with all the other recreational activities you would enjoy in a Beautiful Mountain Setting. During the ski season your Breckenridge lift tickets are also valid at Keystone, Arapahoe Basin, and Vail. You might consider trying the night skiing at Keystone. There is a shuttle service back and forth to each of the resorts. In addition to skiing and snowboarding, there is also tubing and skating. We are a retired couple residing in Arizona, just north of Phoenix. We like to spend much of the summer months at the unit in Breckenridge so we can be closer to family. We have parents, siblings, children, grandchildren and great grandchildren in Colorado. Originally from Colorado, we wanted someplace we could always come back to. We love Summit County and the Colorado mountains, so it just seemed logical to invest in a short term rental property. Double oven; one is a convection. several board games, puzzles, etc. Current and modern. The entire unit has been remodeled including a grommet kitchen, 3 upgraded bathrooms and the sun room in the master bedroom.